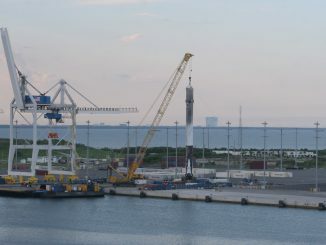 The sixth Falcon 9 rocket booster recovered by SpaceX has returned to Port Canaveral after an up-and-down flight Aug. 14 that sent a commercial Japanese broadcasting satellite toward orbit. 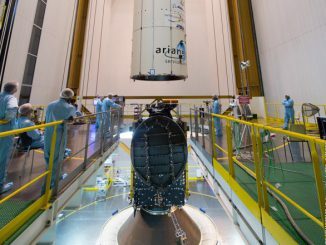 Two U.S.-built Intelsat communications satellites have hitched on to an Ariane 5 rocket for launch from French Guiana next week, the first time the storied company has put two of its spacecraft on the same booster. 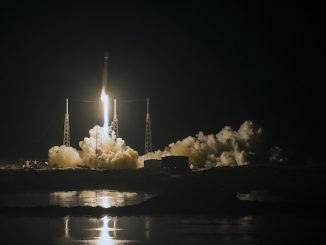 The Falcon 9 rocket’s eighth flight of 2016 took off from Cape Canaveral early Sunday with the Japanese JCSAT 16 communications satellite, setting a new mark for the most launches made by SpaceX in a single year. 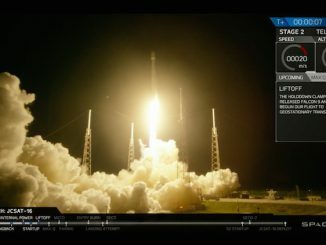 Vaulting into a starry sky over Florida’s Space Coast, a SpaceX Falcon 9 rocket successfully took off early Sunday with a Japanese video and data relay satellite, then stuck a landing on a barge stationed nearly 400 miles east of Cape Canaveral. SpaceX’s Falcon 9 rocket is set for liftoff from Cape Canaveral early Sunday, heading due east over the Atlantic Ocean to deliver the JCSAT 16 communications satellite into orbit 32 minutes later. 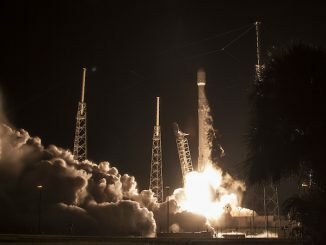 For the second time this year, SpaceX has launched a commercial communications satellite for Tokyo-based SKY Perfect JSAT Corp. A Falcon 9 rocket blasted off at 1:26 a.m. EDT (0526 GMT) from Cape Canaveral with the JCSAT 16 satellite to relay data and video across Japan and the Asia-Pacific. 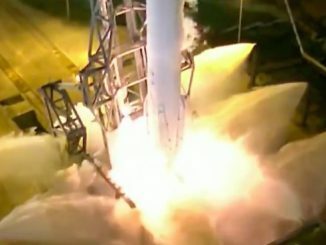 The Falcon 9’s first stage booster nailed a landing on a barge in the Atlantic Ocean a few minutes later. 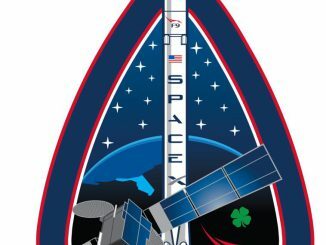 SpaceX technicians planned to connect a Japanese communications satellite to the tip of a Falcon 9 rocket as soon as Thursday, eyeing a launch from Cape Canaveral just after midnight Sunday. 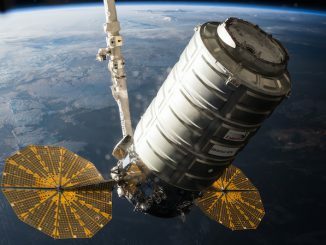 The Japanese space agency has delayed the planned Sept. 30 launch of an HTV space station cargo ship to repair a leak in the vehicle, clearing the way for Orbital ATK to slip the launch of its Cygnus supply ship from Aug. 22 to the second half of September to complete tests and analysis of its re-engined Antares rocket, officials said Wednesday. 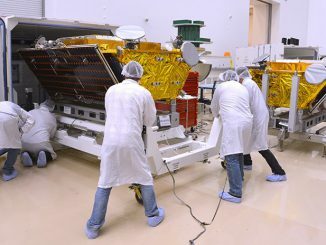 The first two next-generation Iridium satellites, designed to connect global subscribers with data and voice traffic, arrived at Vandenberg Air Force Base on Tuesday, where they will join eight more message relay craft for launch in September on a SpaceX Falcon 9 rocket. 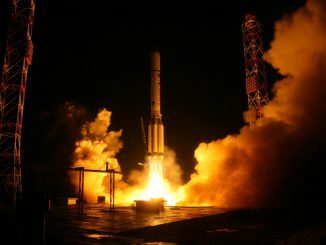 The launch of an EchoStar communications satellite to cover Europe has been delayed to October to allow Russian engineers to complete an inquiry into a glitch suffered during a Proton rocket flight in June, industry officials said.